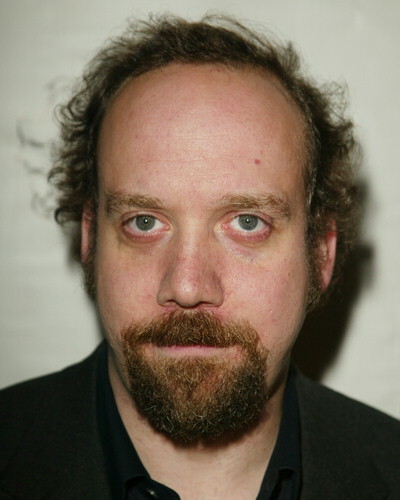 As any fan/previous viewer of Paul Giamatti’s acting will know, no one does miserable/depressed/self-loathing/angst-ridden/complicated/face-like-a-slapped-bottom better than him. In fact, when you reflect on some of his notable roles, such as Lady In The Water (2006), where he plays Cleveland Heep, a miserable, depressed caretaker/superintendent; American Splendor (2003) — in which he plays Harvey Pekar, the depressed, famous underground comic book novelist — and his vastly underrated film, Cold Souls (2009), in which his role is a version of his ‘real’ actor’s self, I mean Paul Giamatti’s own, angst-ridden to the maximum degree from losing his actor’s soul, and neatly echoing Malkovich’s angst at the integrity of his own being compromised by others entering his own head, in the marvellous Being John Malkovich (1999) — well, he has clearly been chosen precisely for his ability to convey such negative and complex emotions; his face is a portrait worthy of a hybrid Hieronymus Bosch/van Gogh/Edvard Munch painting). In other words, he is a master of complex, confused misery; there is no other actor I can think of who does what Giamatti does better than him. Sideways (2006) is a lovely, touching movie, that uses as its springboard a venture into Californian wine country, as a holiday between two male friends, one of whom, a surface-only, self-centred and good-humoured guy who is about to get married and wants to have some last flings before doing so (Thomas Haden Church plays the role very well; he’s probably most well-known for playing the Sandman in Spiderman 3 (2007)), and the other, of course, is Giamatti’s character, an unpublished novelist, depressed and self-loathing, obsessive wine connoisseur, who still suffers from the divorce from his wife two years earlier. have been treated in the traditional Hollywood manner of simply having to act as two-dimensional foils for and second-rate characters to Church and Giamatti; kudos to the male director/co-writer and co-writer/novelist of this film (see two paragraphs below for their names). While some critics and bloggers have described this as a slow/or slow start movie, I would argue differently and say it’s a drama that builds gradually on a simple premise and, as it does so, it unravels/reveals a mesh of complex themes around love, desire, denial, depression, hypocrisy, friendship, self-respect, integrity and passion. It is a great complement to the road movie and the buddies genres. I’ve now watched it a good few times, and enjoy it all the more each time. The dialogue is crisp and sharp, the acting from the entire ensemble is top-notch and it’s a joy, joy, joy to imbibe (never mind the wonderful education you get about some terrific Californian wines along the way). The director, Alexander Payne, and screenwriters Rex Pickett (from his original novel), along with Alexander Payne, and the cast, all deserve their accolades and are to be congratulated for such an utterly charming film. Highly recommended to all lost souls, lovers of the pressed grape, romantics at heart and/or under the table (after some great vino, of course). As some say in England when about to celebrate each other’s company and when drinking something fancy: bottoms up!